We’ve covered some very popular eCommerce shopping cart solutions that have been praised by small and large companies alike. 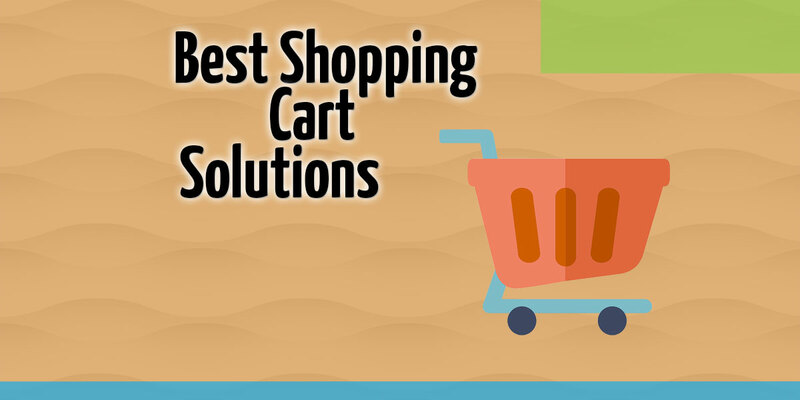 There are plenty of options out there but this list builds on our previous article about the best shopping cart solutions. The subjective nature of the label “best” should be taken as such. It’s our opinion and we offer these suggestions to you as a helpful resource. Regardless of your company’s size, these providers may be offering the most beneficial services around. According to Andrew Youderian – self-employed eCommerce specialist – the open-source solutions mentioned previously, osCommerce and Zen Cart, are becoming outdated. If you’re looking for the same functionality within a more up-to-date framework, he now suggests going with OpenCart. OpenCart is optimal for beginners who don’t need complex features offered by advanced providers. Being open-source, the download costs nothing, and getting started is reportedly easy according to user forums and feedback; download the software, select a template, and you’ll be ready to go live. It has various shipping methods and payment gateways, and even makes opening multiple stores possible, if your different product categories would benefit from separate themes. Their website has tutorial videos and extensive user guides to help beginners quickly get acquainted with their software. Note that many of these features are offered as extensions, many of which will require payment. Customer payment methods, for example, can range anywhere from $10 to $100, depending on the features you’re looking for. However, demos of these can be downloaded for free, to get an idea of how each extension will integrate with your store. This one is much more complicated to get accustomed to than OpenCart, but it provides a wealth of multimedia resources for merchants at all levels of expertise to learn how to better connect with their customers and market their products. These resources include webinars and even live events, such as those they’ll be holding in London and Munich in October and November, respectively. Successful companies like Nike and Fiji Water use Magento for their online stores. Note that Magento is suited for larger companies, ready to take on a full-fledged eCommerce solution. Their software has a steep learning curve and will take even skilled programmers some time to grasp. However, it offers more customization and powerful features than most other eCommerce solutions. Magento has 3 editions: Community, Go, and Enterprise. Community is free and comes with the least amount of features (although it’s still pretty extensive), Go is designed for smaller businesses, and Enterprise focuses on large companies. The Community allows programmers to get accustomed to the technology, before their company might decide to upgrade. You can start off with a 30-day free trial (Go Edition) and then plans start at $15 a month and up if you decide to continue on. Monthly plans are feature based, which means that to get access to a certain feature you may find you have to bump up to a higher plan. That’s a good business model for them, but kind of frustrating in that you may find you have to pay for features that you’ll never use. On the plus side, PCI compliance comes included in every package which is a nice addition. Easily one of the best things about SCE is that they’re focused on helping you get the most out of your account. Whereas most other providers will make customers fend for themselves after signing up, Shopping Cart Elite will aid in handling everything from graphic design, to security, to data entry. You’ll be connected with eCommerce experts that will help get the ball rolling, as opposed to tech support representatives from other companies that might have trouble answering your questions. Their services start at $299 a month, which is steep, but there aren’t additional fees. They also won’t begin charging you anything until your shop actually goes live, which gives you and your programmers ample time to set everything up. With the amount of help they’re ready to give, it might be wise to have a look at what that entails. A lot of the eCommerce solutions I’ve listed offer hosting, along with their other features. But what if you already have hosting, through services like Joomla or WordPress? The following options are plugins for these popular content management systems. There are several online store plugins for Joomla sites, but J2 Store is one of the highest-rated. If you and your team are familiar with Joomla coding, this will be pretty simple to set up. The shop will have a professional look and comes with many useful features. J2 Store offers some useful marketing/promotional options like special offers and discount prices based on quantity. A convenient feature is store pickup, which will let customers head to your physical shops to retrieve their purchased products. If you’re familiar with Joomla and want an eCommerce solution that integrates with it, J2 Store is worth a look. This is the leading eCommerce plugin for WordPress websites, with over 2 million downloads in the past 5 years. Its best feature is that there’s virtually no learning curve for those who maintain your website. It makes your store completely customizable, using HTML and CSS, meaning you can create your own templates and store designs from scratch (or modify any existing templates). WP E-commerce has a slew of video tutorials to help you get started, and as is common with WordPress in general, it has a big community of fellow users in the forums that can help you with questions. It also allows customers to subscribe to RSS feeds for specific items or categories, keeping them in the loop about new products and offers. If you have a solution that you are using right now, please feel free to leave a comment below. This list is constantly being added to as more software solutions emerge. The bottom line is that you have an almost limitless amount of options when it comes to getting into eCommerce with your merchant account. Useful options, affordability and convenience will all play a major role in deciding the best way to go.